Is solar the way to go? If you live or own a business in Los Angeles County, a new website will tell you if solar panels would work on your property. All you have to do is plug in your address, and the website does the rest. The new solar mapping program calculates the suitability of solar panels by computing the roof size, angle, shade from nearby trees, and other factors. 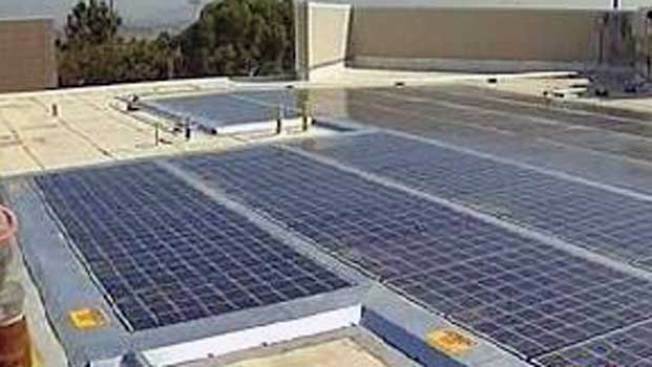 "Solar makes sense in Los Angeles and in Southern California," said Supervisor Zev Yaroslavsky. "This is one of the capitals of sunshine on the globe." The county program is the world's largest solar map in terms of geographic area, covering 3,000 square miles, according to Acting Chief Information Officer Richard Sanchez. The cost of installing solar panels varies, depending on how many panels are needed and what sort of system is used. California-based solar power installer Solar Technologies figures a 218-square-foot system would cost about $25,000. A state rebate program and federal tax credits would cut that cost to about $14,000. Los Angeles County officials are developing a program to help homeowners and businesses finance their solar panels, according to a statement from the county. Earlier this month, the L.A. County Board of Supervisors approved a motion by Ridley-Thomas to create a program by July that would allow property owners to borrow cash from the county to install energy-efficient upgrades, and then pay the money back through their property tax bills.